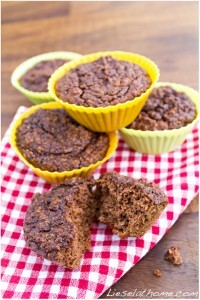 For some time now my son has told me that my normal chocolate muffins – good as they are – always tend to be a bit dry. OK – he is obviously spoiled, living in this house! But to be honest, he is right. So I have been trying to make a new recipe giving them more moistness – and after a few trials this one is a winner! We let a carrot add moisture and an orange give extra taste. Try it! You will be delighted! Making these, I used an electrical hand held mixer – you know one of those magical things that will let you puree anything within minutes. 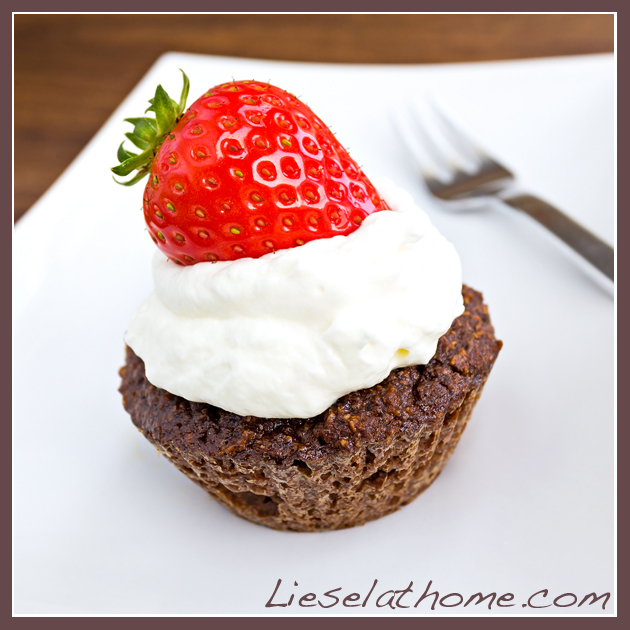 If you don’t have one – you can still make these muffins but then grate the carrots finer than I did. I have tried this too and the only reason I use the mixer is because it’s quicker. Now – my original plan was to squeeze the orange juice of the whole orange but when cutting it open I was overwhelmed by the lovely smell of it that I ended up eating the other half…. I suggest you do the same. Mix the above with the magical hand held mixer – or if you don’t have one, just mash the banana with a fork and mix using the same fork. Now – if you want to, you can also add a table spoon honey here, but it depends on your preferences and how careful you are with sugar intake. 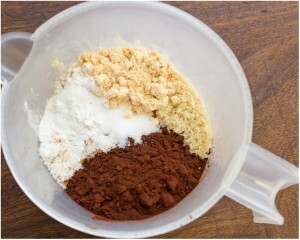 Mix the above again and then in a separate bowl or measuring jug we’ll prepare the dry ingredients. 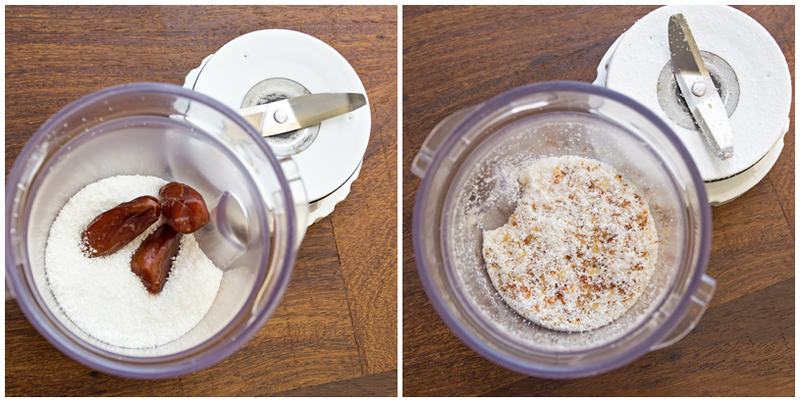 100 ml (0.4 cup) shredded coconut – mixed with 3 dried and pitted dates, like in the “before and after” pictures below. 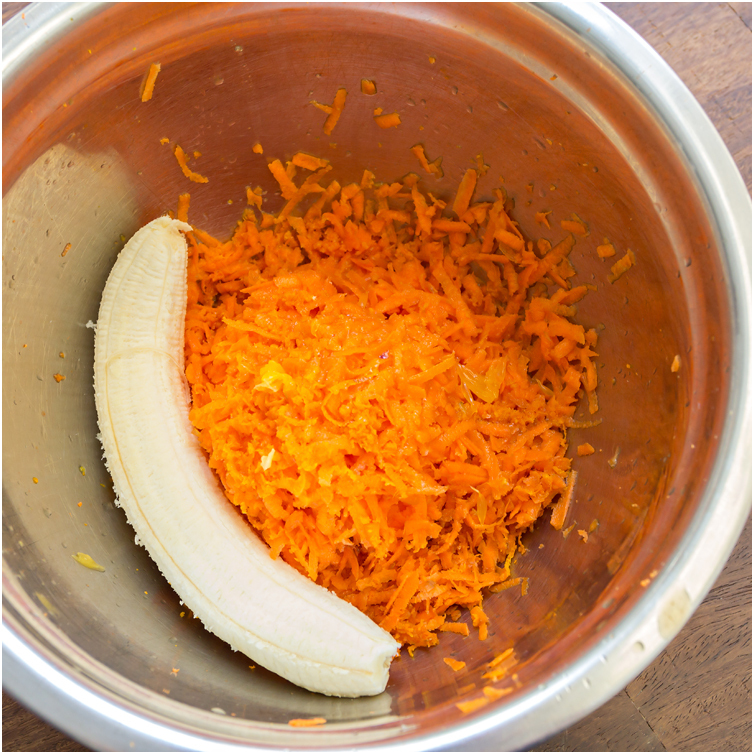 If you don’t have a small mixer or grinder like this – just take the shredded coconut, skip the dates and instead add a tbsp. honey to the carrot-egg-mix as mentioned above. 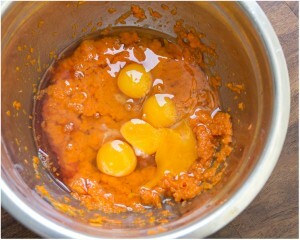 Mix together all the dry ingredients, using a spoon, first before adding them to the carrot-egg mix. Then melt 50 g butter – or coconut oil – and add that too. Stir until all is mixed and then fill muffin forms. If you have that magic hand held mixer, you can use it for stirring and mixing it all – if not, a plain spoon will do the job. 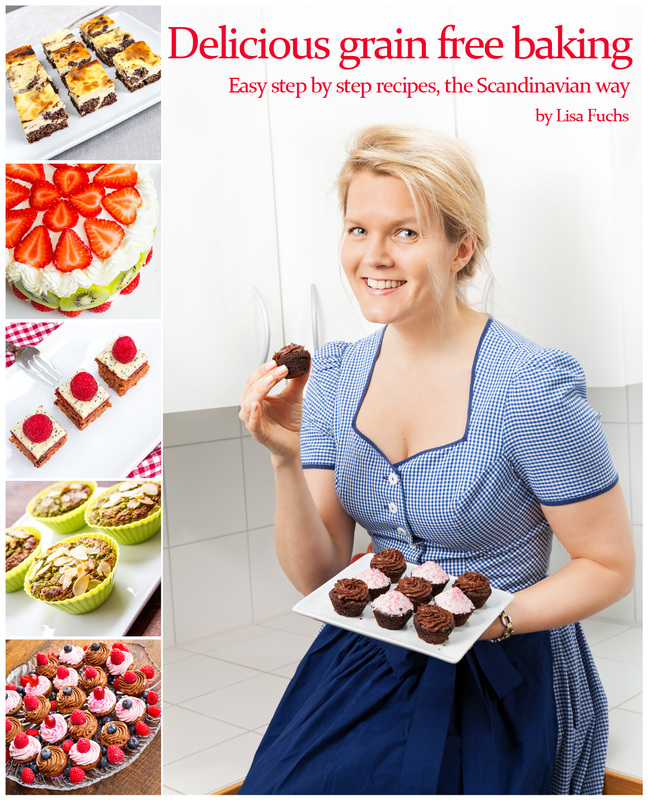 I used my normal sized (bigger) forms this time and it gave me 13 muffins. Bake in the middle of the oven for about 25 minutes. 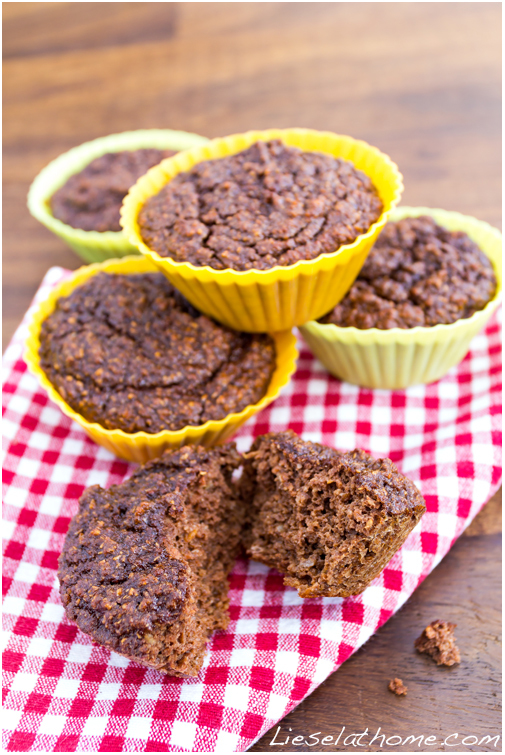 Smaller muffins need a few minutes less. They are really tasty just like they are – but if you feel like fancy-fying your life, add some whipped cream and a strawberry like in the top picture.